Disclosures: I received a complimentary copy of the book and a couple products from Rose Mountain Herbs shown below (exempting sea salt and the funnel) compliments of the author; the giveaway recipient’s copy and the bundle of goodies offered from the author personally. The Amazon book link in the post magically deposits a tiny pittance in my bank account each month if you buy the book using that link, which helps me to continue to run the site and pay fees for web hosting! I chose to make her Scrunch Spray, recipe and method included below, since I’m a curly girl whose locks need a little extra finesse to complete their curl. I typically use a DevaCurl product that scores well on the Skin Deep app and listing, but if I can supplement something more natural and fun, then I’m game to switch things up. Ultimately this Scrunch Spray helps you achieve that beach hair feeling, the second-day hair that’s so much better than shower day hair. I’m pleased to report that I’m using much less of my DevaCurl product, and really enjoying my afternoon spritz for an afternoon hair (and self!) pick-me-up. Heat the water to a boil, then remove from heat. Stir in the salt, then allow the mixture to cool to room temperature. 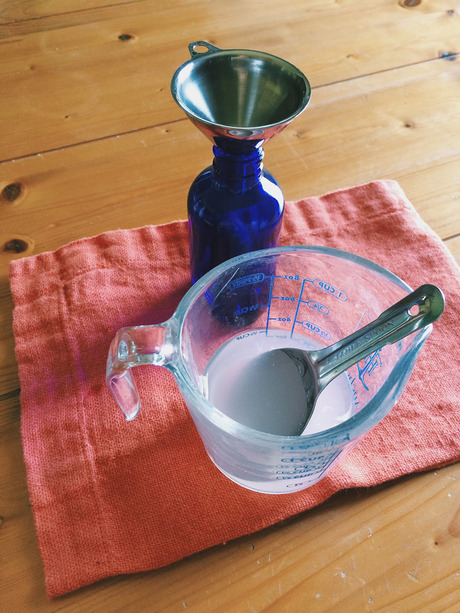 Combine the cooled salt water with the aloe vera gel and neroli hydrosol in a 4-ounce spray bottle, then shake well. 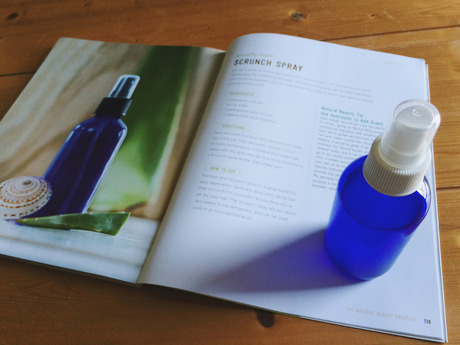 Package your Scrunch Spray in a spray bottle for easy application. Spritz the spray onto damp hair, then scrunch it in your palm as you blow dry or air dry your hair. The Scrunch Spray will last about two weeks in the refrigerator and can be used cold or at room temperature. I love this spray, especially in the summer months. It’s hot outside and what’s more fun than starting off the day with a cool spritzer for the hair. I love the smell of orange blossom, so this is a total win for me and what makes me happy. If you prefer another scent, you can change up the hydrosol. It’s great to spritz periodically throughout the day as well to cool down and keep curls or waves fresh! Mary Helen is giving away an amazing prize package to folks who enter via any of the blogs on her blog tour. 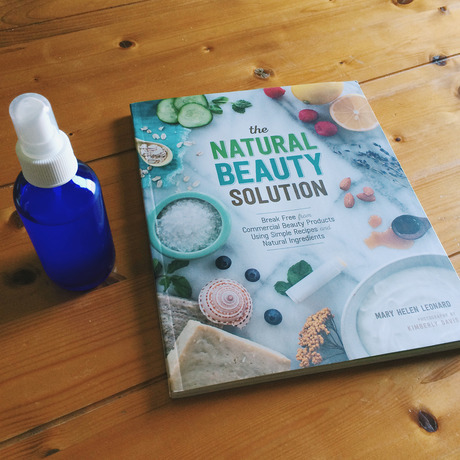 Enter to win a copy of her book and this fabulous natural beauty ingredients bundle by using the widget below before September 15. Rules: Open to U.S. Residents only. Prize cannot be exchanged for cash value and can only be shipped to an address within the United States. Winner will be notified September 20, 2015 and will have seven days to respond before the prize is forfeited and another winner is selected.